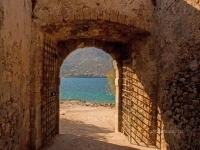 Spinalonga is famous in Greece as being the last ever active leper colony, throughout the whole of Europe. 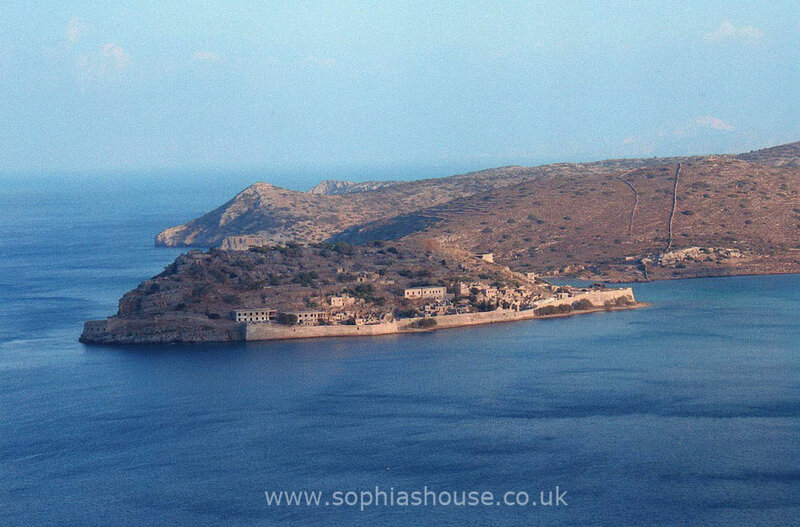 The island was used as a leper colony from 1903 until 1957, with the final inhabitant, who was a priest, eventually leaving in 1962. 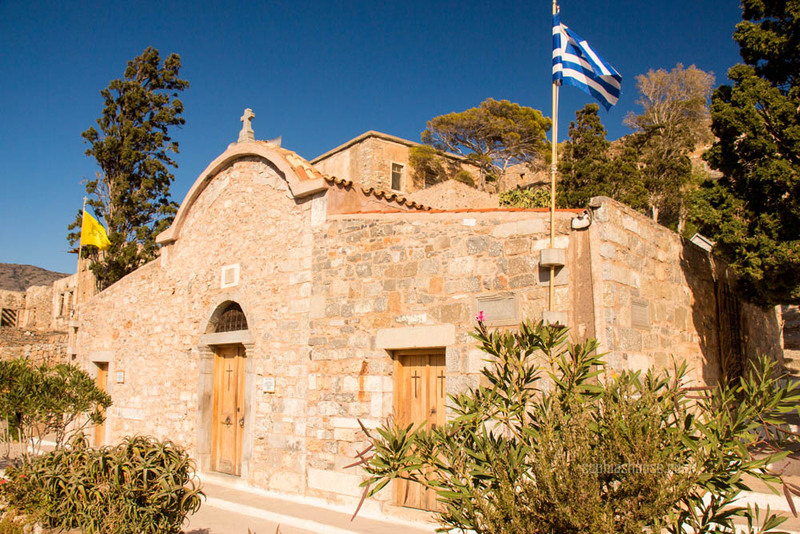 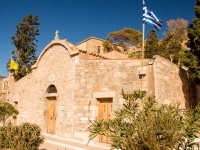 The priest would have had to stay on the island to keep up the religious traditions of the Greek Orthodox churches, by commemorating the entombed individual at forty days then at six months, and again at the following one, three and five years after his or her death. 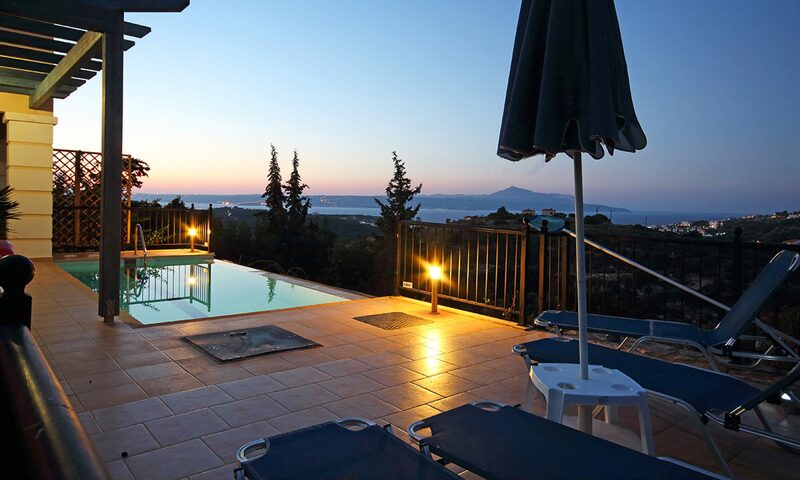 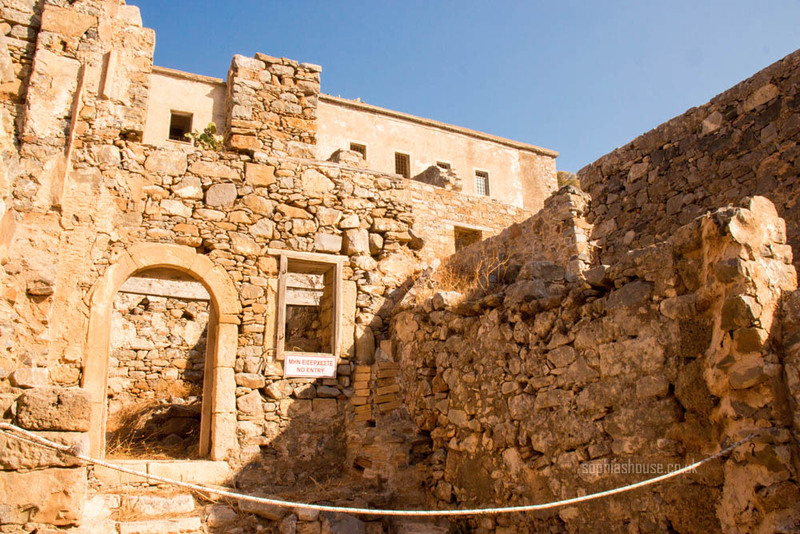 These days the islet is just one of the many major attractions associated with Crete. 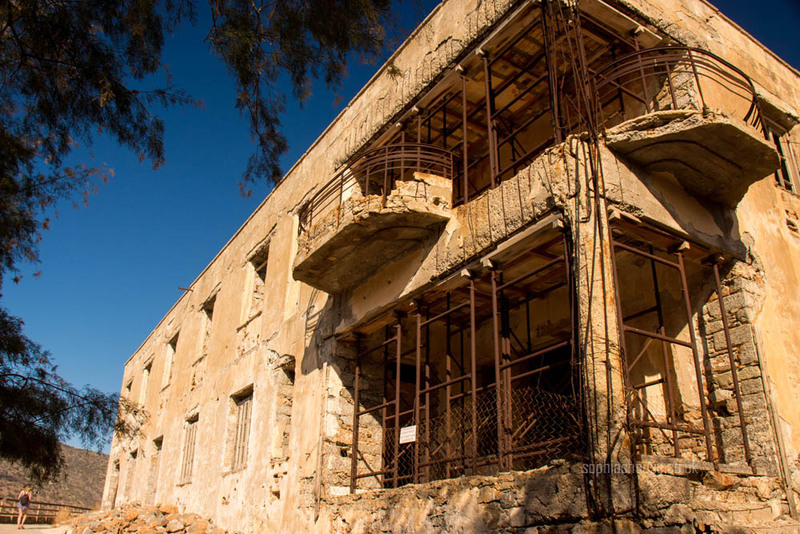 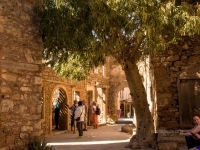 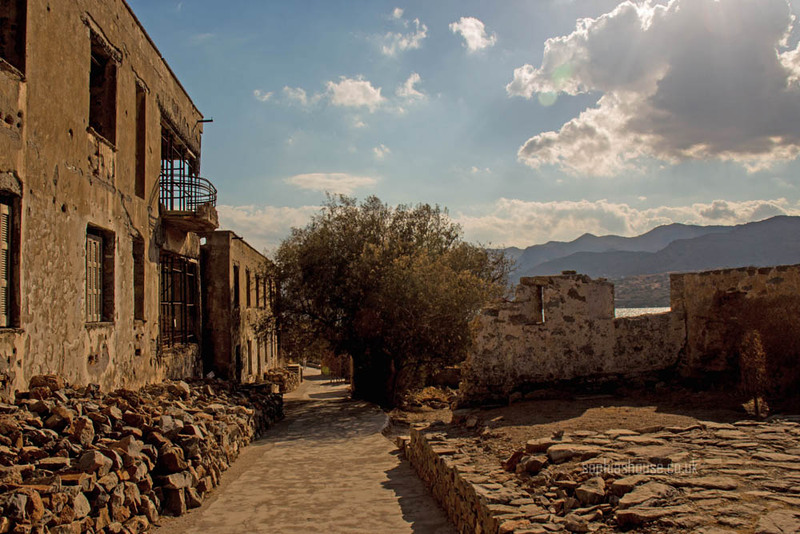 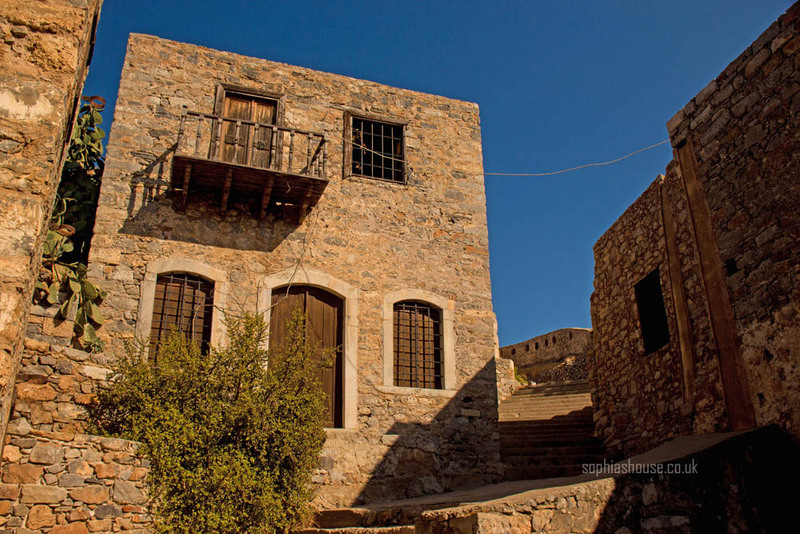 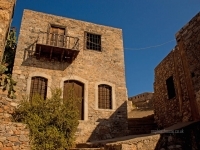 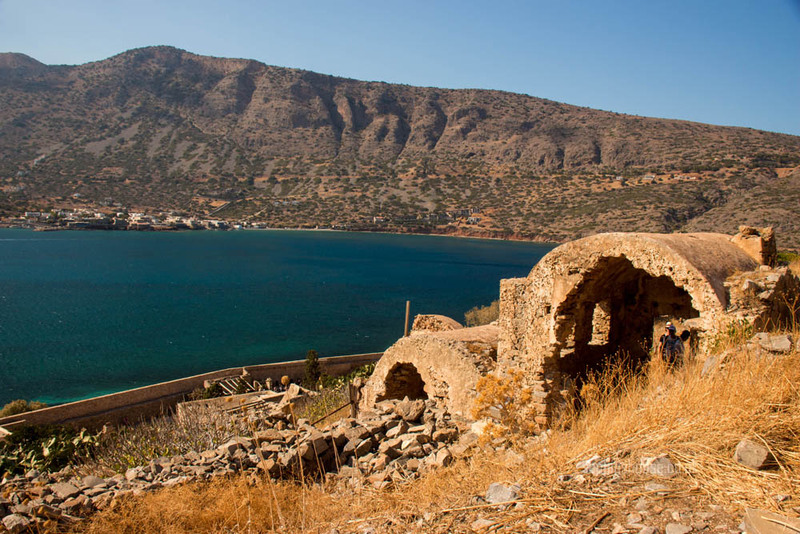 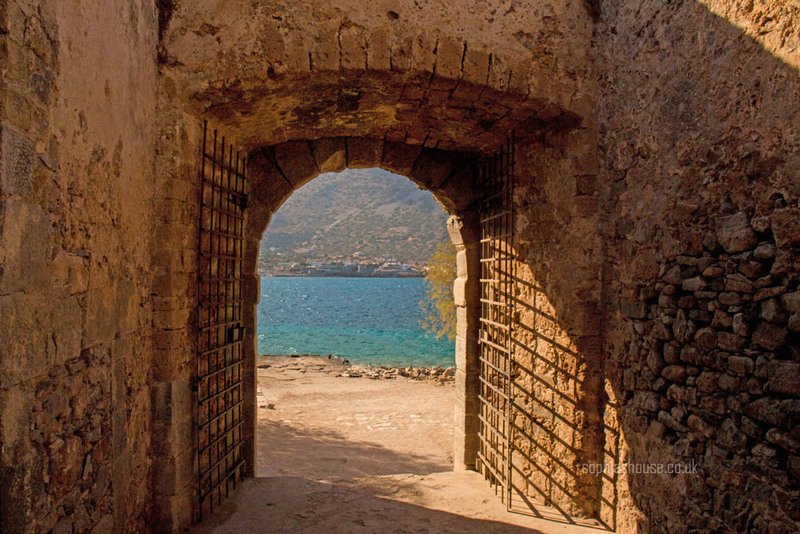 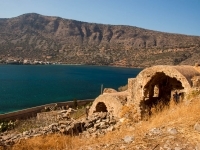 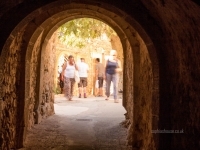 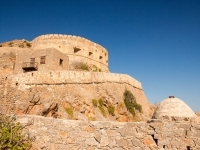 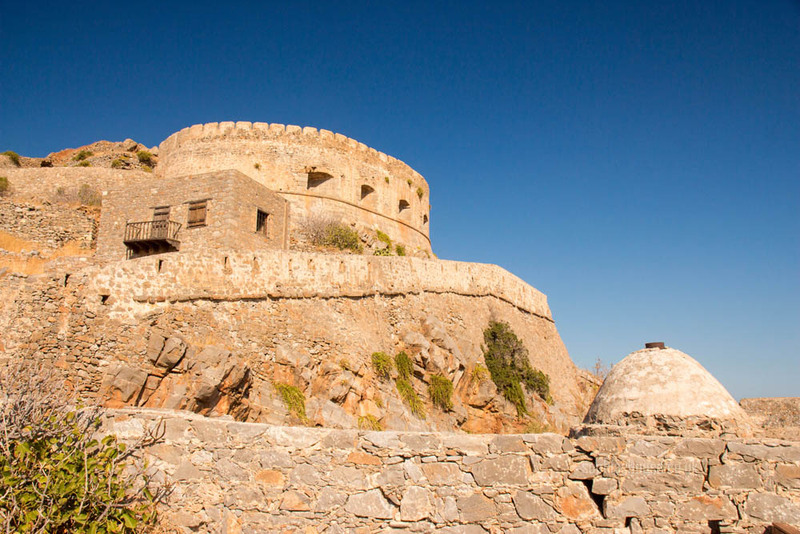 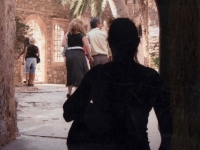 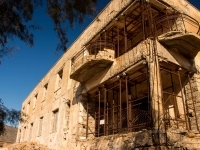 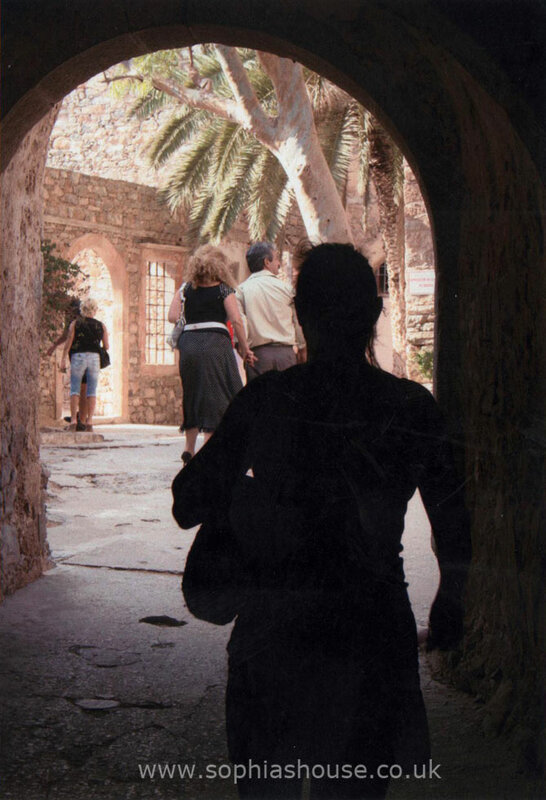 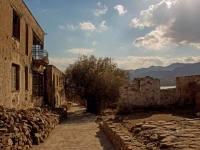 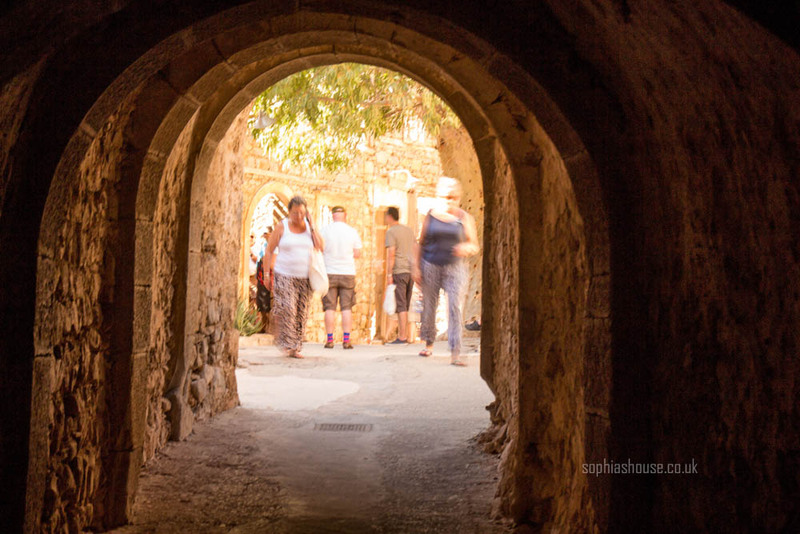 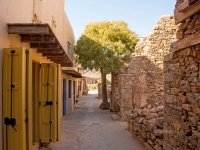 Spinalonga has a history of turbulent and fierce battles with much suffering and hardship. 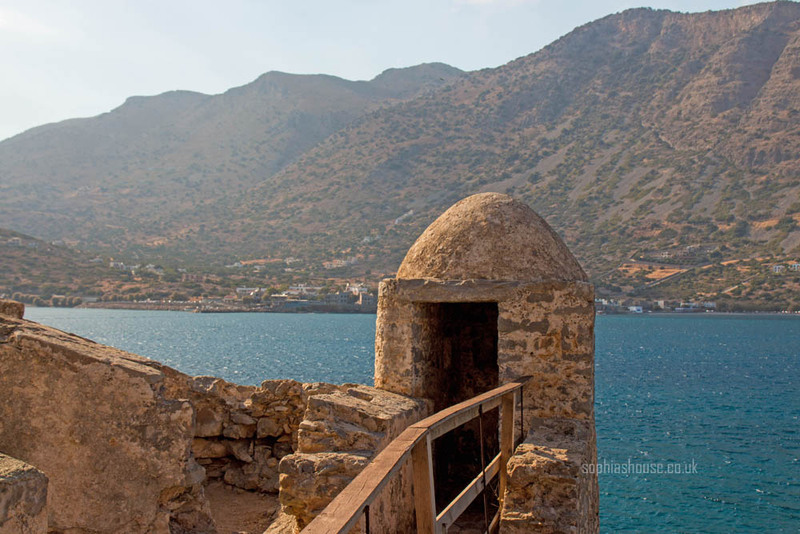 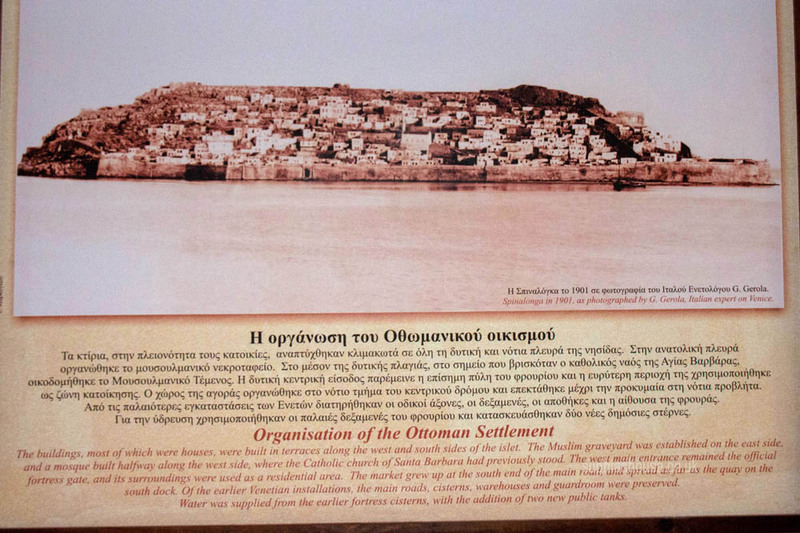 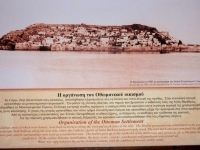 The strategy of the position of the Island, along with its rocky ruggedness can only aid the defence of Elounda harbour. 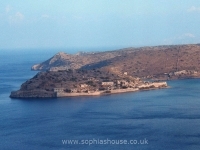 The actual name of the island is said to be associated with its shape, as it resembles a long and spiny thorn. 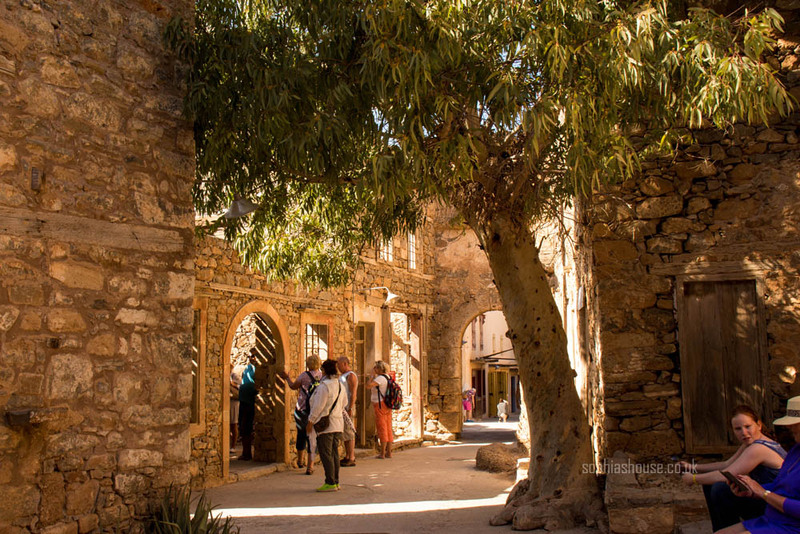 (Spina longa). 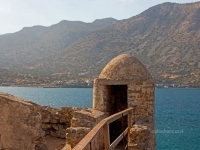 When the island was no longer used as a leper colony in 1957, the Greeks proposed a new name for the Island, “Kalydon”. 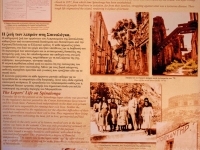 This was a try at replacing the Latin with a Greek counterpart. 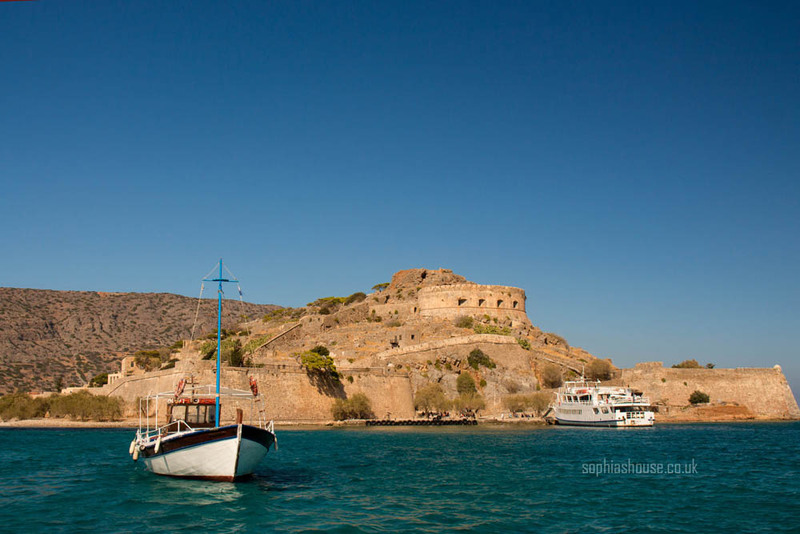 Boat trips go out on a regular daily basis throughout the summer months. 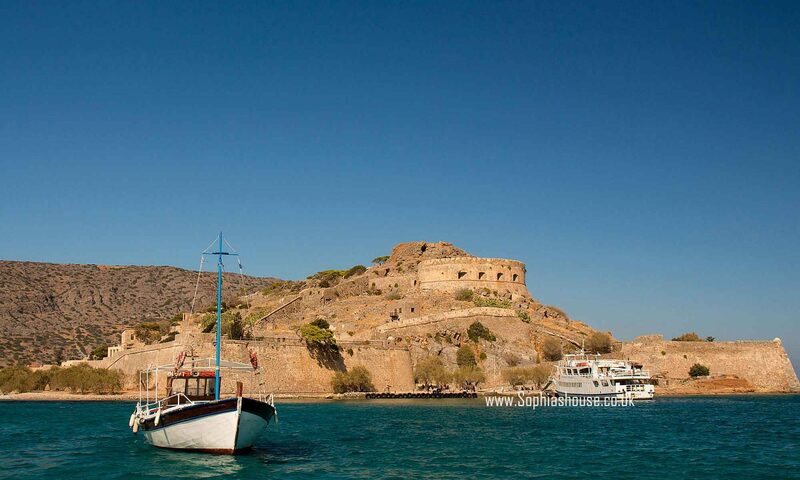 When you visit the area, you will find many daily boat trips from Agios Nikolaos. 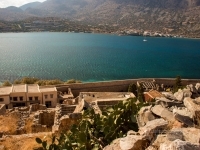 If in the event, you feel like visiting Spinalonga as a last minute unplanned trip, then just head for the port of Elounda or Agios Nikolaos as you’ll find numerous boat trips sailing to the island. 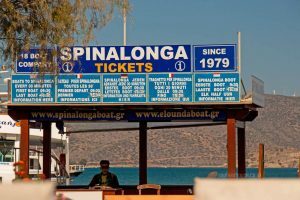 Last visit October 2017, Elounda boat tickets from the kiosk in the photo, ran every 30 mins, 10 Euro return per person don’t forget the 8 Euro entrance fee at Spinalonga. 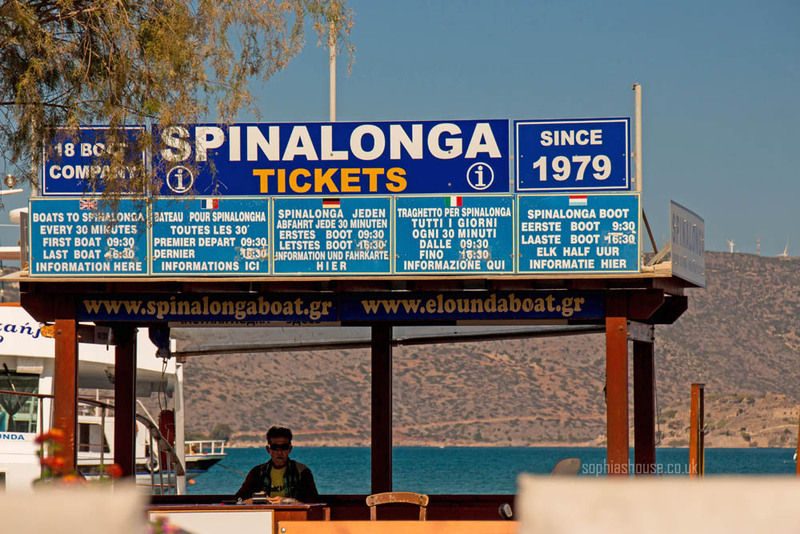 Boat from Elounda takes about 20 mins each way. Boats that sail from Agios Nikolaos in the mornings usually provide a luncheon as well as the chance to swim and snorkel off of the beaches situated around the Kolokytha Peninsula, before the returning trip to Agios Nikolaos, later in the day. 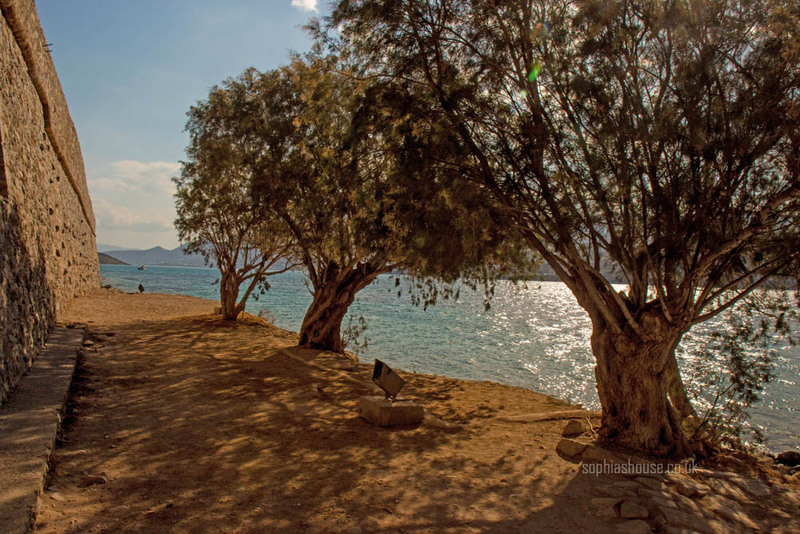 There are boats that sail from Plaka, a little village situated to the north of Elounda. 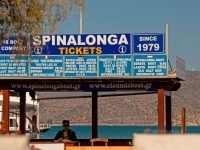 The crossing time is a lot shorter, taking only ten or so minutes, because Plaka village is positioned nearer to Spinalonga than the other ports. 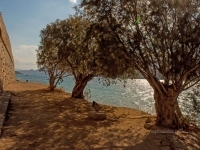 There are no boats or trips to the Island during the wintertime, but if you would still like to visit the island, then you need to seek out the owner of a boat, to take you over to the island, but it wouldn’t be too hard finding someone – just enquire at the local waterside cafe’s and tavernas along Plaka’s shore, most locals have boats for fishing and Pleasure. 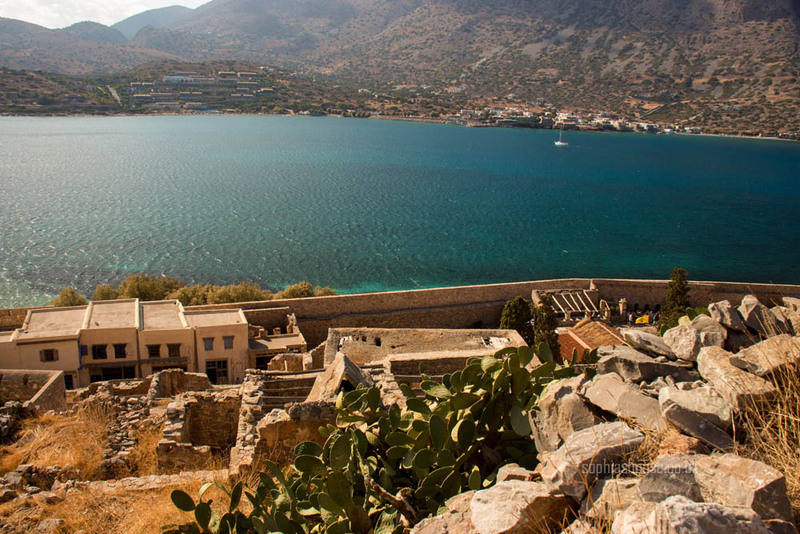 The time needed to see all of Spinalonga Island is between one to two hours. 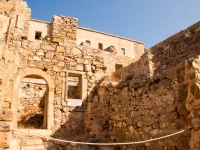 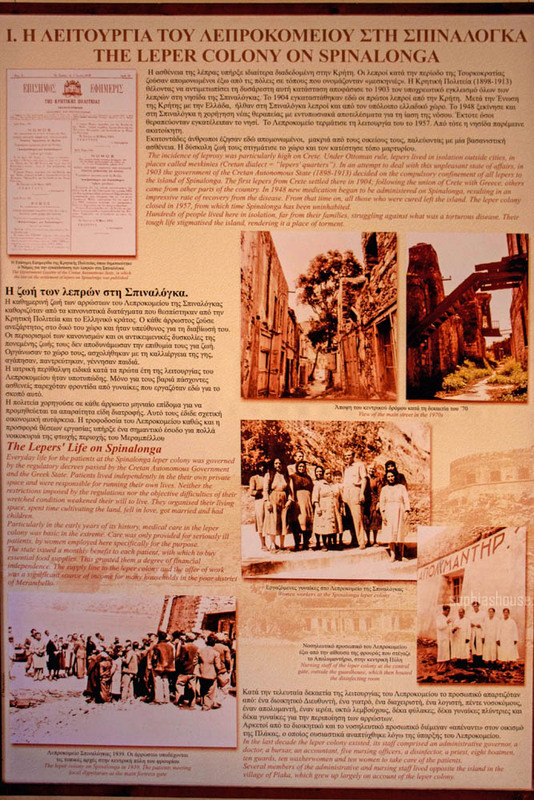 Learn about the entire history and background of Spinalonga and its inhabitants, starting the Gatehouse, where the leprosy sufferers entered and caught their first glimpse of the islands interior, with its houses, church and hospital which cared and housed the lepers, until they were laid in their final place of rest within the tiny graveyard on Spinalonga island. 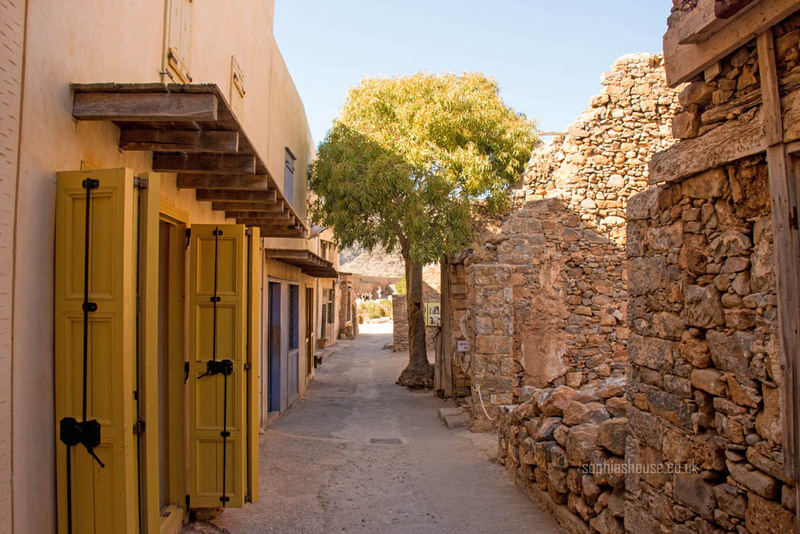 The Island of Spinalonga was made famous by the Author Victoria Hislop with her book “The Island”, the book was turned into a television series on Greek TV.